Does your race plan involve you’re Warm Up? The Games and the Open are right around the corner and now is the time to start thinking about your game plan for certain WODs. Those with experience know the benefit of pacing, gaming, and executing a plan to produce a personal best performance. In the end a game plan facilitates mental toughness and focus to deal with pain when things get tough. This Saturday, January 25th, we will be testing our 2k again at the Renegade Rowing League. If you’re in the Boston Area you’re invited to come and visit CrossFit Boston and compete in the Renegade Rowing League. It will take place from 11am – 1pm. In order to prepare for testing and competition some of the rowing wods this week will be focused on race pressure and executing a race plan. Today’s focus is Rowing and Strength. 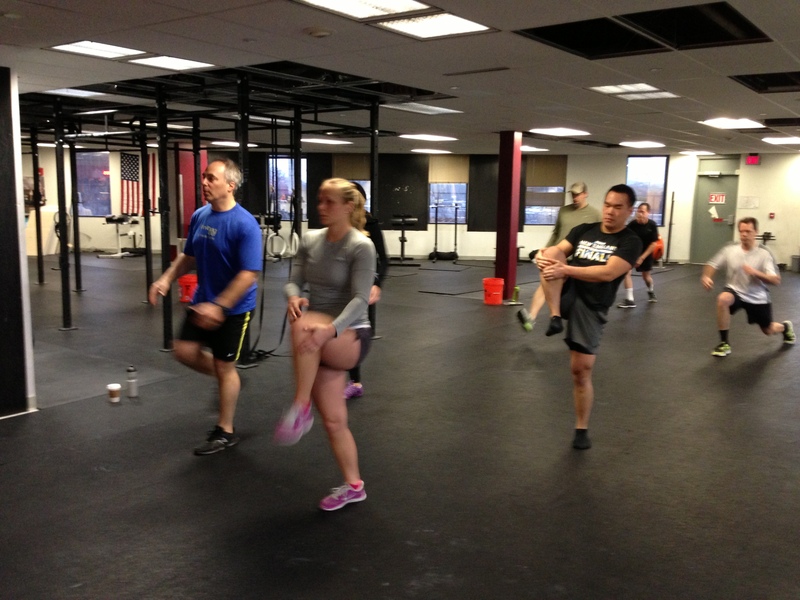 In the Rowing WOD focus on executing a 2k race plan at high intensity. Set the monitor for intervals distance with 250m of Work and 45 seconds of Rest. Row the first two pieces as if they were the start of the 2k. Row the next three pieces as if they were part of the second 500m, Row the next three pieces as if they were part of the third 500m, and finish the last two pieces with a sprint like the end of a race. In the Deadlifts grip it and rip it, but be sure to lock that breath in and keep good form. This should not be an all out 250m Max Effort, but rather a calculated effort at a split close to what you think your current 2k split would be. The goal should be to pull the lowest split possible, consistently through all 10 intervals. For example: alternating between splits of 1:50 and 2:00 is inefficient. Instead consistently pull 1:55 every interval. This entry was posted in Fitness, Rowing, Strength and tagged endurance sports, functional movements, mental toughness, recruitment patterns, row 2k, rowing, sports, training by Renegade Rowing. Bookmark the permalink. Nice work Ward! That’s what everyone at the RRC said last night. But it looks like your confidence is there. Now it’s time to just grip it and rip it. Go hard and make it happen! Solid Day of training even with a tweaked ankle. Had fun hitting all three. Hide the women and children – there’s a wounded Beast among us! These felt solid! Getting pumped for Saturday!